Vancouver, BC – Canadian Sport Institute Pacific would like to congratulate the athletes, coaches and support staff from British Columbia, as well as the entire Canadian Paralympic Team, for a fantastic performance at the Sochi 2014 Paralympic Winter Games. By placing in the top three in the gold medal count, Team Canada met Own the Podium’s goal for the Games while epitomizing the spirit of our #WE CAN campaign. British Columbia-linked athletes came home from the Games with seven medals, winning 44 per cent of the Canadian Paralympic Team’s total medal haul, for a total of two gold, one silver and four bronze. BC is also the home province of both flag bearers – Sonja Gaudet of Vernon (opening ceremonies) and Josh Dueck of Kimberley (closing ceremonies). 13 athletes who live or train in BC competed at the Games in six different disciplines, accounting for 24 per cent of the Canadian Paralympic Team. 54 athletes made up the Canadian Paralympic Team. 24 per cent of the athletes who represented Canada in Sochi were either born and/or train in B.C. 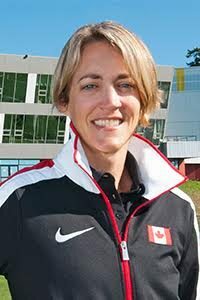 23 coaches and technical staff led the Canadian Paralympic Team in Sochi. 26 per cent of Canadian Paralympic coaches and technical staff were from B.C. In 2010, Canadian athletes won 19 medals at the Vancouver Paralympic Winter Games: 10 gold, five silver, four bronze, finishing third in the medal count. In 2010, BC-affiliated athletes won 74 percent of Team Canada’s Medals at the Vancouver Paralympic Winter Games: 7 gold, four silver, and three bronze for a total of 14 medals. Canadian athletes won 16 medals at the Sochi 2014 Games: seven gold, two silver and seven bronze, finishing third in the medal count. BC affiliated athletes won seven medals at the Sochi 2014 Paralympic Winter Games: two gold, one silver and four bronze.